4th Republic is set in the year 2020 in the fictional Confluence State of Nigeria where Mabel King (Kate Henshaw) has joined the gubernatorial race to unseat the incumbent governor (Sani Muazu). However, following a violent and fraudulent governorship election resulting in the death of her campaign manager Sikiru (Jide Attah), she challenges the declaration of the incumbent governor as winner. As the case goes before an election tribunal, the hunt for possible witnesses in possession of incriminating video evidence begins. Now this is how you shoot a political thriller! 4th Republic is an amazing piece of film making with some incredible story telling and cinematography. The film was shot with such simplicity (that is Ishaya Bako’s style) that makes it easy for the audience to follow the goings-on of the film. The fantastic cinematography was further accentuated by the attention to detail in every scene of the film. From the props to the location and scenery, everything was well thought out and executed. Talking about attention to detail, I must commend the amount of Legal research that went into 4th Republic. Obviously, there was a legal consultant retained to direct the proceedings of the election tribunal because other than one or two insignificant lapses, the proceedings of the tribunal were accurate but slightly exaggerated for cinematic effect. The fantastic cinematography and details aside, the cast was amazing. 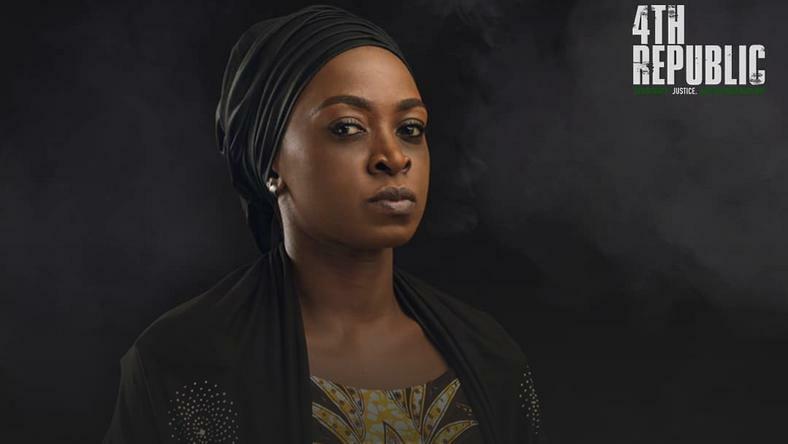 Kate Henshaw was so compelling in her portrayal of the gubernatorial candidate fighting bias to get to the top. Enyinna and Linda also put in a good shift and Sani Mu’azu was just the quintessential Nigerian politician- condescending, arrogant and corrupt. It’s funny that the cast being the highlight of 4th Republic was almost its bane. The main characters were faultless but the supporting cast did leave much to be desired. There were a lot of extras in the film and many of them were just bad actors- there was even a scene outdoors that had so many people just sitting around watching the shoot and this looked awkward and the producers should have either spent a little more to create their own outdoor location or managed the crowd better. However, the negative impact of the crowds and the extras took little from the overall quality of the film. The plot of 4th Republic was well thought out and is so relevant to present day Nigeria that it almost seemed like it was a prediction of the occurrences at the recently concluded elections. I must however admit that the conclusion wasn’t unexpected but the mini plot twist made up for this slight lapse in the plot. 4th Republic comes highly recommended please let me know what you think in the comment section below or on Twitter and Facebook.